With the 2018 baseball season approaching, the Fort Myers Miracle added Priority Marketing to its dynamic team. Our charge was to secure a broad range of media exposure and increase community awareness, and ultimately boost ticket sales to begin the season. 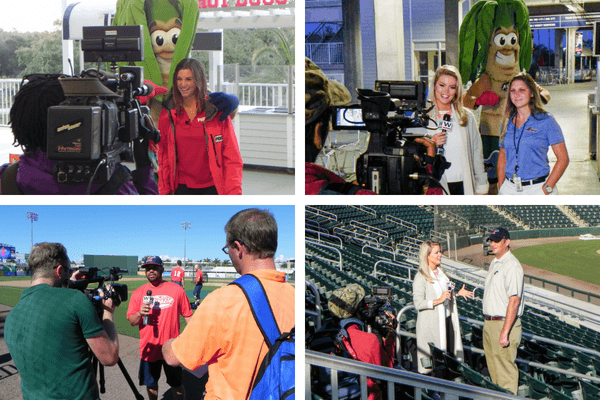 Priority Marketing developed a multimedia, multiplatform campaign centering around Opening Nights, a promotions-packed two-night, two-game homestand at Hammond Stadium. Public relations initiatives included news releases, live television interviews, guest opinion pieces and media partnerships to provide game-day weather forecasts, digital billboards and news coverage. A combination of print and digital ads infiltrated local media, making it difficult to absorb any news without seeing promos for Opening Nights. Google AdWords, social media infographics and Facebook advertising also spread the message online. As a results-driven agency, Priority Marketing closely monitored the metrics to measure our success. For its two-game Opening Nights celebration, the Fort Myers Miracle’s average attendance was 4,761 fans, tops among 12 Florida State League baseball teams and 5.4 percent higher than last year’s two-night total. Online, Priority Marketing precisely targeted social media users, resulting in the Miracle’s Facebook page experiencing a 264 percent increase in page views compared to the prior year. The large home crowds help propel the Miracle to a 2-0 record to start the 2018 season, helping to fuel the excitement around this year’s talented ballclub. Good luck this season!